I wasn’t going to put out a sharing today simply because I have nothing new to share, other than to say, if your vibration goes any higher, your gonna blow me to bits!! lol So I was preparing to reply to days worth of emails when my team put the difference between what I call the old earth and the new earth in my face. This is what they want to talk about today and now that I see it the way that I do, it is an important thing to make very clear. The Athens Stock Exchange index has fallen 11.2 percent – the biggest intraday plunge since December 1987. The government announced a snap presidential election, two months ahead of time, making investors nervous over the status of EU bailout money. Investors were spooked by the sudden presidential election call, as it could if things don’t run smoothly leave the status of Greece’s flow of money from the EU in the air. The benchmark Greek equity index sank 11.2 percent, and the country’s 10-year bond yields rose to 7.82 percent, sending Athens-listed stocks haywire. A group of Russian citizens has launched a petition seeking to prevent the adoption of a bill that would introduce a universal tax on the internet, collected by rights organizations representing authors of copyrighted films, music and books. The anonymous authors of the motion claim that the universal tax is against the law as it would force the majority of internet users to pay for content that they never download or use. “The planned tax payments would not be in the interests of the entire Russian population and not even in the interests of the country’s internet users. They would benefit only a limited number of personalities and there is no guarantee whatsoever that any money would reach the authors of the downloaded content,” reads the petition posted on the official state site for collecting signatures. Moments after Bank of America reported at today’s Goldman financial conference that its Q4 trading revenues would be down both Q/Q and Y/Y, it was Citi’s turn to warn that the current quarter will be the latest disaster in a long series of revenue disasters, with Q4 revenue said to drop 5% from a year ago, however, despite the drop, Citi would still see a “marginally profitable” quarter. Supposedly this means that a few hundred million shares of stock will have to be repurchased to give the optics that EPS is rising even as revenues continue to drop. China is launching 32 high-speed train routes on December 10. The network extension includes a link between the biggest city Shanghai and the manufacturing hub of Guangzhou right next to Hong Kong. The 1106-mile route cuts the journey time down to 6 hours and 51 minutes, instead of the 16 hours it previously took. New bullet train lines are part of the government’s plan to double the size of the domestic rail network. 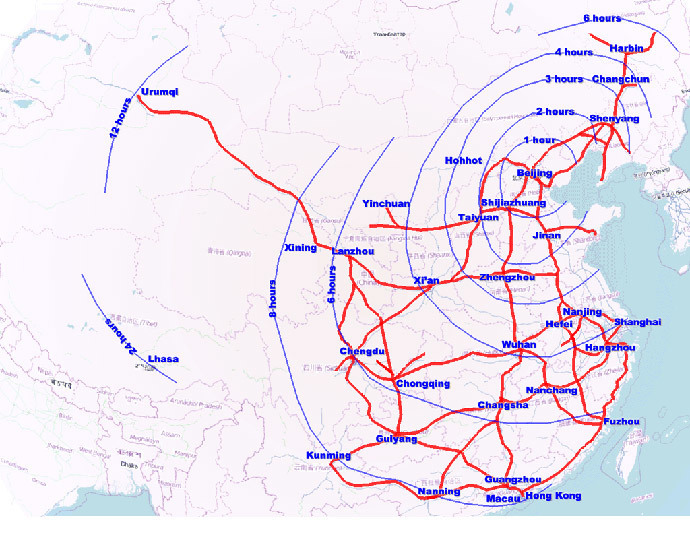 China has the world’s largest high-speed rail network, which keeps the growing population and economy connected. The country’s two largest train makers are in the process of merging to create a more competitive company, both internationally and domestically, reports in October said. As the US administration prepares for the release of a long-awaited report examining the CIA’s use of torture post 9/11, Britain’s previously undisclosed role in the controversial rendition program is set to become clearer. Following a six-year examination of CIA documents, the US Senate Select Committee on Intelligence (SSCI) will publish a 480-page summary on Tuesday of its investigation into CIA mistreatment and abuse of terror suspects. The probe examined the CIA’s maltreatment of Al-Qaeda suspects in secret prisons throughout Europe, Asia and the Middle East. It also details assistance offered by foreign allied states.